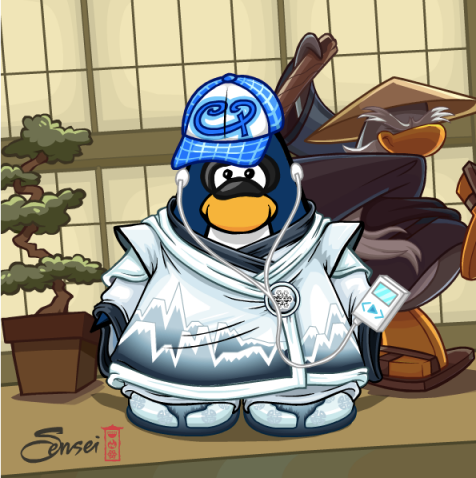 Club Penguin Cheats by Mimo777 Club Penguin Cheats by Mimo777: Penguin of the Day: Ninjaoninja2! Have you earned your Snow Suit yet? If not, look out for Ninjaoninja2 around the Dojo because he's been sharing all his tips and Card-Jitsu Snow wisdom with fellow ninjas! Snow wonder he’s POTD! Do you have a friend you want to see as POTD? Then Contact CP!